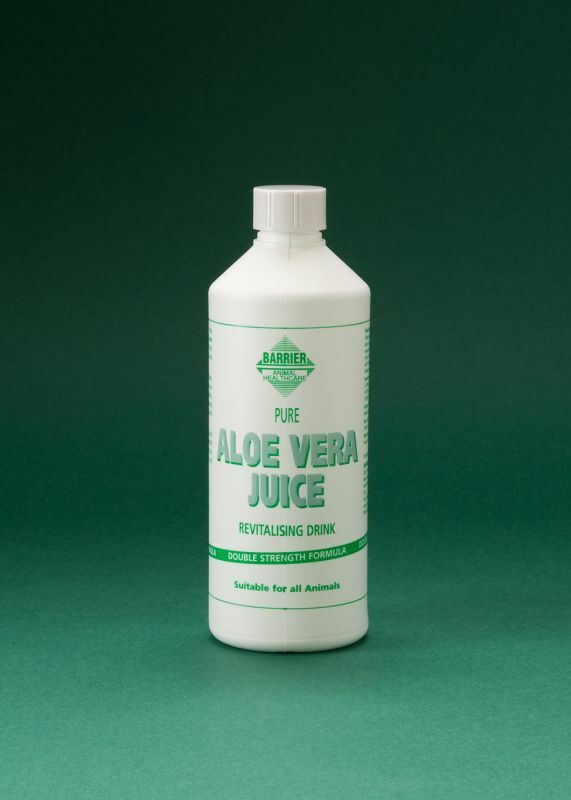 Horses and Ponies benefit from the remarkable qualities of Aloe Vera Juice. Acts as a wonderful tonic for run down, recovering, lethargic and elderly horses and ponies. The Powers Of The Aloe Vera Plant: Aloe Vera is known to contain vtamins, minerals, enzymes and amino acids and is an excellent revitalising drink for run down or lethargic horses. Aloe Vera can be applied directly to the skin to help soothe sore areas, cuts and grazes and irritation. Barrier Animal Healthcare's Aloe Vera : To ensure the highest quality and freshness, our Aloe Vera comes directly from distillers. Aloe Vera is 100% concentrated and food grade. Uses: Feed to Horses and Ponies as directed on the label.